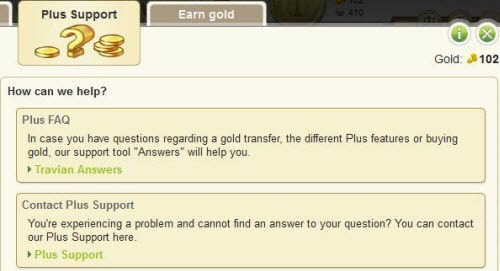 In case you have any questions regarding a gold transfer, the different Plus features or buying gold, or any difficulties with your gold purchase, our support tool "Answers" will help you. How to message Plus Support? You can use your registration e-mail and send an email to us at plus@travian.com. You can use our in-game form. Click on the gold button to open the overlay. Then, navigate to the tab called “PLUS Support”. Click on the green link “Plus Support”. This will open the form you see below. 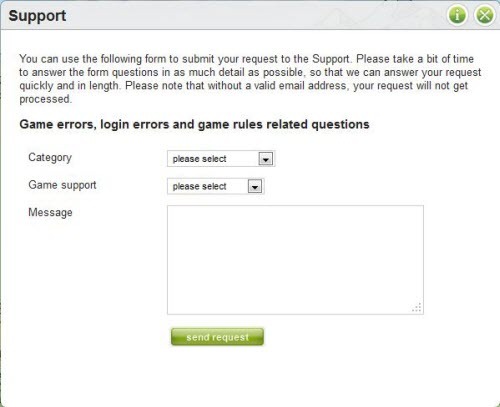 For “Category” please pick Plus Support and for “Game support” you can pick the one that best describes your problem or question. Type your question in the “Message” box. Please remember the more detailed your message is, the better the answer you can expect. Click the "send request" button and your message will be forwarded to the Plus department. It will be answered within 24 hours. I have been GOLD banned. What should I do? 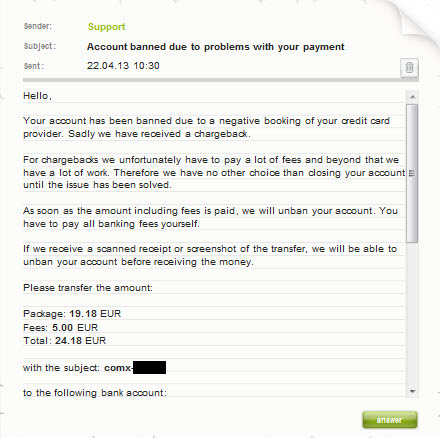 It sometimes happens that the account gets banned for payment issues such as a negative booking of your credit card provider. In such case, players receive a message from chargebacks@travian.com with detailed information as to why such event occurred. If this happens to you please message chargebacks@travian.com. Only they can help you with this issue. Please, remember, PLUS Support CAN'T help you with this issue.